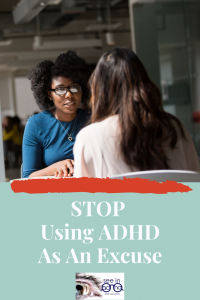 In this episode of the See in ADHD Podcast I go more in-depth about why we need to stop making excuses about ADHD. And also, why we need to stop using ADHD as an excuse. See the ADHD is not an excuse companion post here.